PEORIA – Three-time Grammy Award winning artist Brandi Carlile plays the Peoria Civic Center Theater on Saturday, August 3 at 8:00 pm. Over the course of their acclaimed career, Carlile and her band have released six albums, including 2015’s The Firewatcher’s Daughter, which garnered a Grammy nomination for Best Americana Album. Additionally, in 2017, they released Cover Stories: Brandi Carlile Celebrates 10 Years of the Story (An Album to Benefit War Child), which features 14 artists covering the songs on their breakthrough album The Story with all proceeds benefiting War Child. Her current album By The Way, I Forgive You won this year’s Grammy Award for Best Americana Album. Carlile has earned seven Grammy Award nominations, including Album of the Year, Record of the Year, and Song of the year in 2019. Tickets for the Peoria show go on sale Friday, March 22 at 10:00 am. 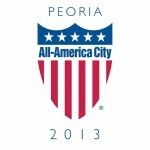 Tickets ranging from $50.50 to 90.50, can be purchased on www.ticketmaster.com or in-person at the Toyota Box Office, located inside the Peoria Civic Center.